Waiting On Wednesday is a weekly event, hosted by Breaking The Spine, that spotlights upcoming releases that we are eagerly anticipating. I've been participating in Waiting on Wednesday for over 5 years because Wednesday is my favorite day of the week! I love sharing and discovering new books. I don't really read historical fiction, much less young adult historical fiction, but this sounds cute, so...... I have it on my tbr. Plus, I never did get around to reading Love, Lies and Spies from this author, so it's still on my tbr, also. Nice pick! Doesn't sound like my kind of read but I hope you love it! Thank you for stopping by today, Jessica. I also never got around to reading Love, Lies, and Spies, but the reviews for this book are much better, and the synopsis sounds incredible! It's also on my TBR, so I hope we both enjoy it :D Awesome pick! I always feel like I'm missing out on something good when I don't get around to reading certain books. The cover originally drew me to this book, but I love the synopsis. I hope we both get the chance to read this one, Brittany. I LOVED THIS BOOK! Love, Lies and Spies was really good btw, but this book is even better. You should try both. I hope you enjoy this book when you get the chance to read it! Knowing how much you enjoyed it just makes me want to read it even more! I'll be sure to pick this one up when it comes out. Thanks for stopping by today, Alyssa. Wow! this sounds really interesting! I hope you enjoy it! 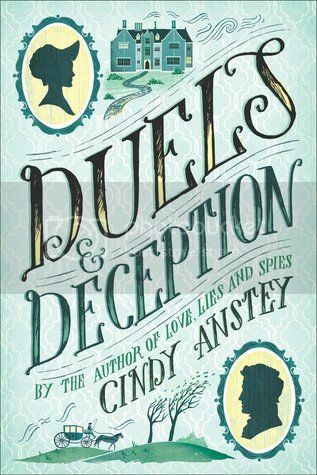 I really liked Love, Lies, and Spies, and have this one as an egalley that I can't wait to read! Great pick! Thanks for stopping by my Wednesday post on Lisa Loves Literature earlier! This does sound interesting. Am going to check it out. Hope you really enjoy it! Ooooh!! What an interesting and yes, cute plot!! Of course, it has Austen vibes all over it, which makes it that much more appealing. Plus, the cover is really nice! I LOVE the font used for the title and author's name, as well as those cameo portraits! Read the first book in this series and hope this one is good!